Florence Nightingale, a Nurse from a prominent British family, was born in Florence, Italy, on May 12, 1820. During the Crimean War, she and a team of nurses improved the unsanitary conditions at a British base hospital, reducing the death count by two-thirds. She devoted her life to creating change in healthcare; her work and commitment sparked worldwide health care reform. She is widely credited as the founder of modern nursing. Each year, close to the anniversary of her birth, Canada recognizes National Nursing Week (May 11-17, 2015). 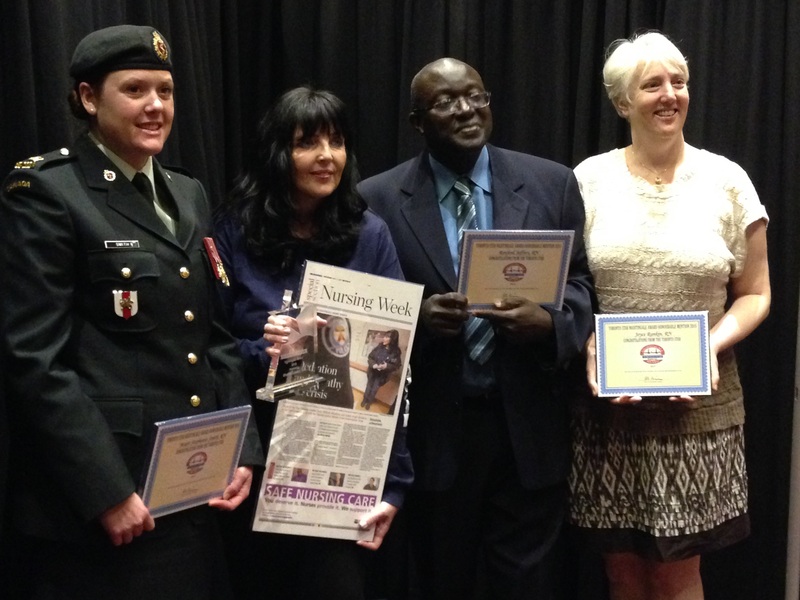 Each year the Toronto Star’s Nightingale Award issues a call for the public to nominate a Nurse whose work has been ground-breaking, outstanding and inspiring. This year (out of 100s of nominees), Street Health’s Clinical Manager was awarded an honourable mention. For many Nurses, even being nominated is considered an honour. Our team have the pleasure of working with Joyce Rankin and are continually inspired and humbled by her commitment, dedication, compassion and broad Nursing knowledge. Joyce embodies the values of compassion, curiosity, integrity, humility and has earned the enduring respect of her colleagues, staff, students, volunteers, and (most importantly) the clients whom we serve.